Walkabout: Hathaway Park on Washington Loop Rd. Please join Peace River Audubon Society for the April Walkabout, Tuesday April 7, at Hathaway Park. Several short trails explore a variety of habitats near Shell Creek. The park is located at 35461 Washington Loop Road, off Rt. 17 north of Punta Gorda. Use the original entrance for parking. County parking fees (or annual permit) apply. Meet in the parking lot at 8 AM. Dress for the weather and easy walking. Sunscreen and bug repellant may be useful. Bring binoculars, water and a snack if desired. The walk will be approximately two hours. For further information call Eleanor Marr at 941-624-4182. All of our meetings, Field trips, and Walkabouts are free and open to the public. 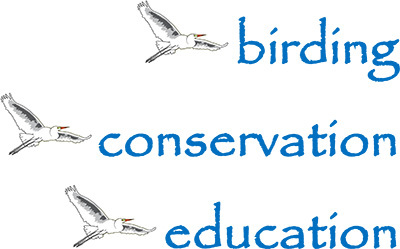 For our complete schedule, visit www.PeaceRiverAudubon.org.